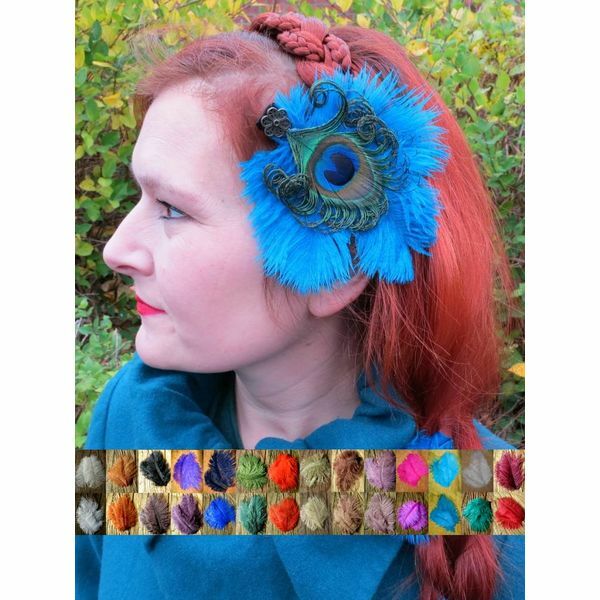 Ostrich feather hair clips in many colors to wear as single hair jewelry or in combination with our feather extensions! 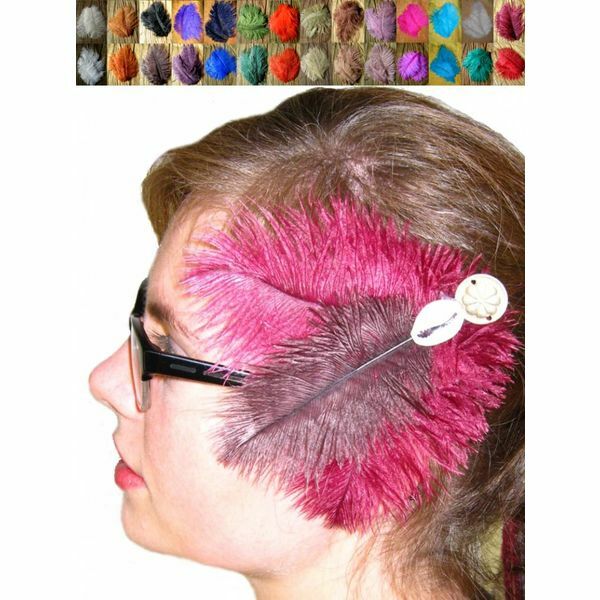 Ostrich feather hair clips and fascinators by Magic Tribal Hair have a professional clip attachment for extra strong hold in any hair type! Your hair must be minimum 5 cm/ 2 inches long. Our professional hair clips don't have any teeth that could break or damage your hair! Their strong hold is provided by strong spring in their closing mechanism. Hair clips and fascinators with ostrich plumes are little eye-catchers for many stylings: Colorful ones are perfect for boho and fantasy stylings, fascinators with black feathers and in other dark colors look great with Goth outfits, brown shades are just perfect for steampunk look... 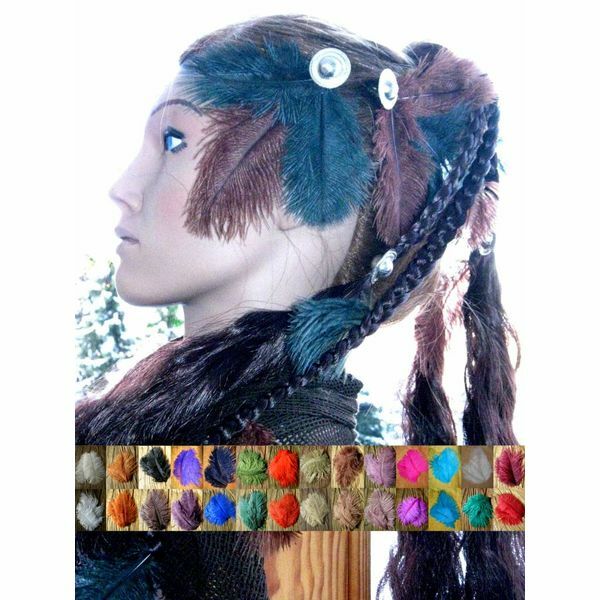 Naturally you can also accessorize your larp or cosplay costume and tribal fusion belly dance outfit with our ostrich hair jewelry! 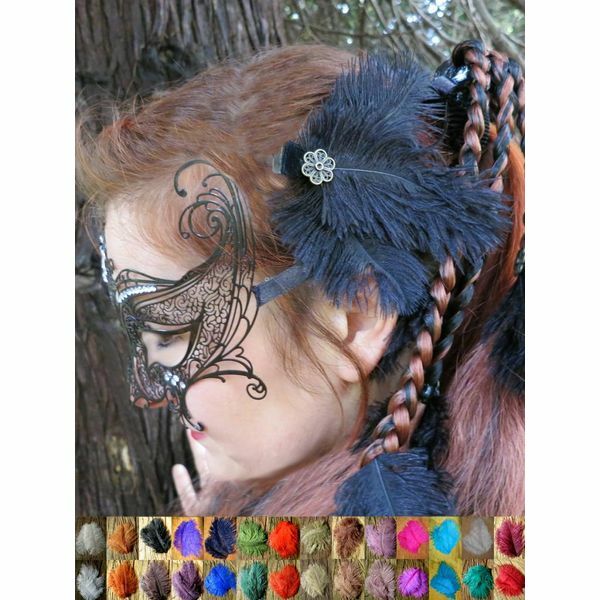 Hair clips witch ostrich feathers go very well with our many fantasy hair pieces and feather hair extensions with ostrich feathers - just have a look at our custom color hair piece categories!